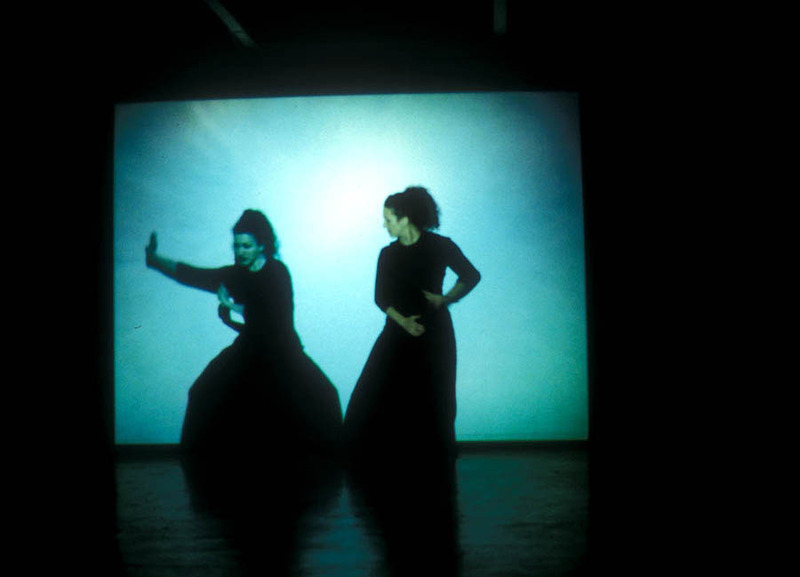 This work is a combination of live performance with video projection. The live body of the artist takes center stage, alongside her video double who commences a dialogue that tells of burgeoning hunger and desire. This projected persona performs an enactment of perpetual devouring and re-emergence as both the live and video bodies sway to the repeating rhythm of the soundtrack — they enact a dance, in which their forms never quite separate. Anita Ponton is a graduate of Central St. Martins in London, and is currently undertaking practice as research doctorate at Goldsmiths College. For the last 10 years she has been working in time based and performative practices.